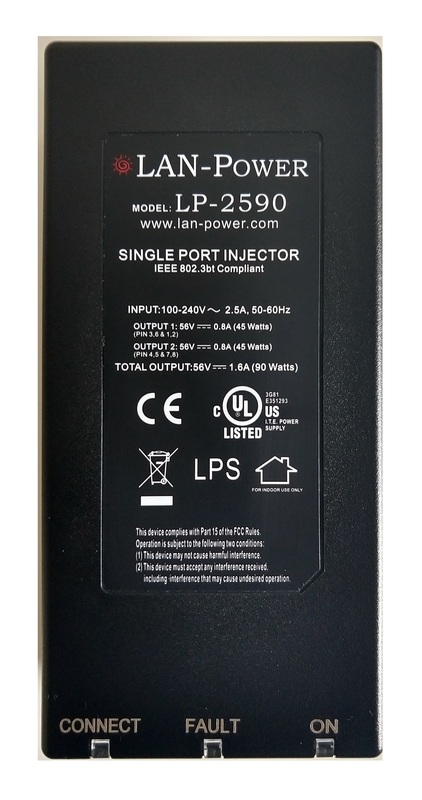 The LAN Power model LP-2590 Single Port ULTRA High Power PoE Midspan Injector sup- ports powering IP ‘PoE Enabled’ End Devices. 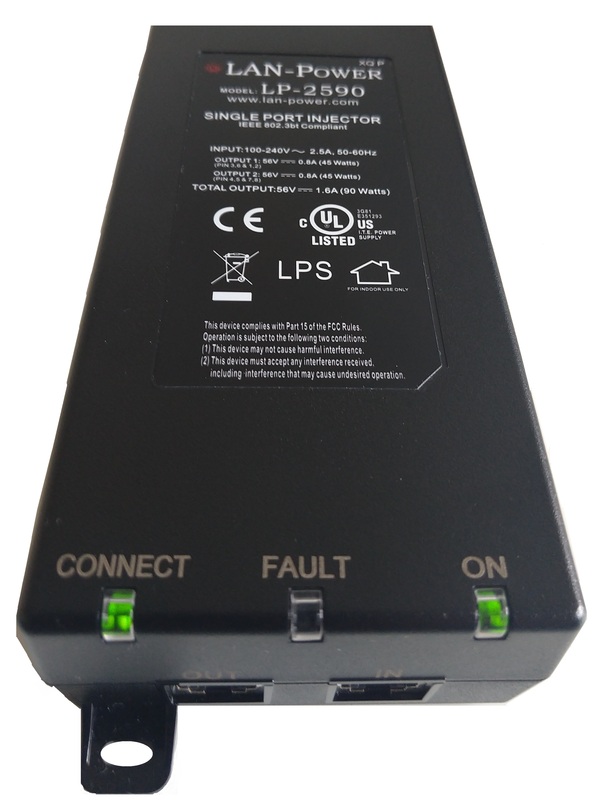 The Single Port PoE Midspan Injector provides up to 90 Watts continuously at 56 VDC to all 4 pairs in a standard Category 5, 5e, 6, 6a Ethernet cable. 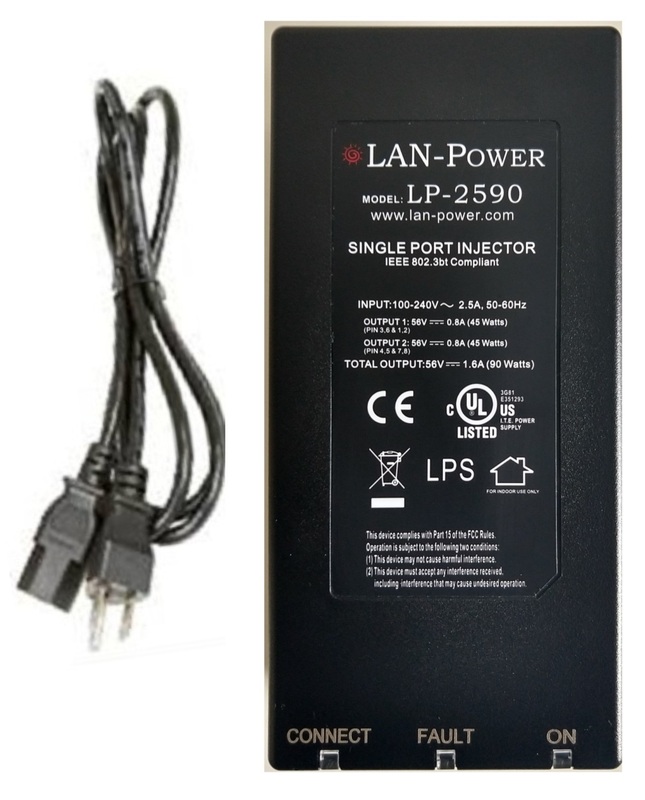 The LP-2590 delivers both data and power over a single standard Ethernet cable to an IP ‘PoE’ enabled End Device designed to receive both Power and Data through it’s RJ45 connection. 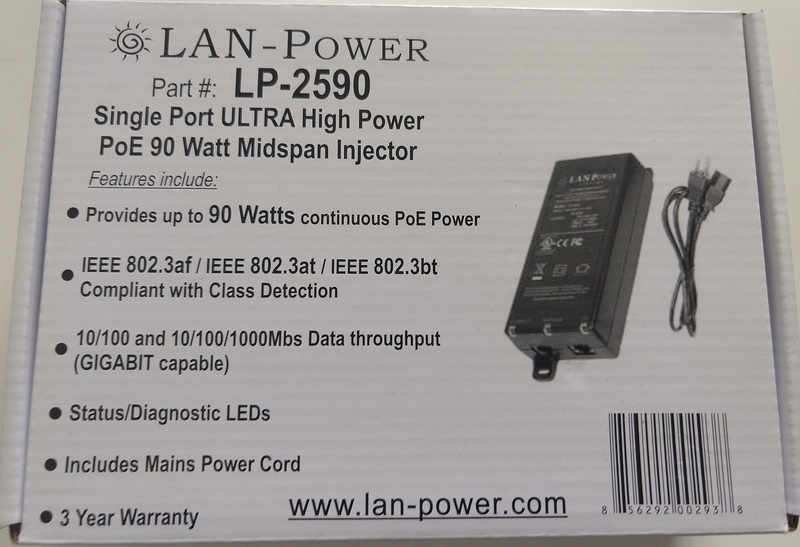 The second RJ45 on the LP-2590 passes incoming data from the IP End Device to a Router or Ethernet Switch (up to 1000Mbs/Gigabit). 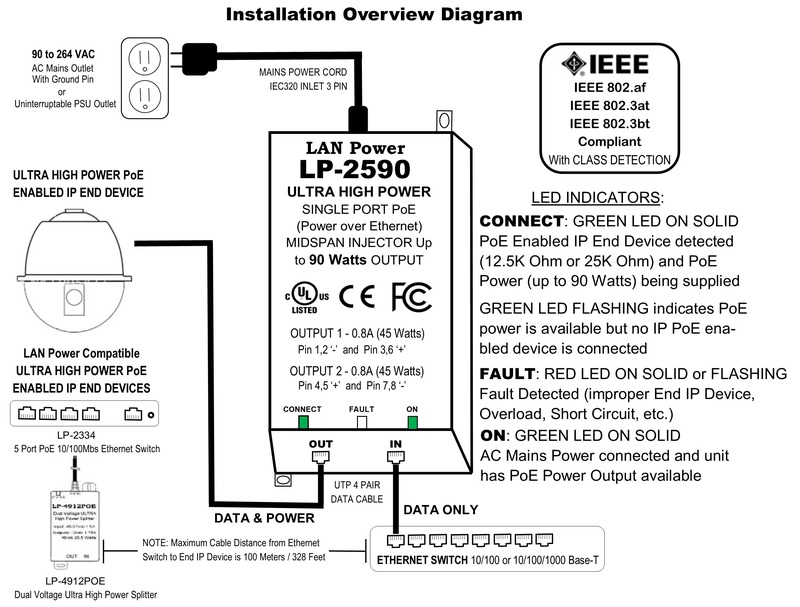 The maximum cable distance between the Router or Ethernet Switch to the IP End Device is 100 meters/328 feet and the LP-2590 is between these two devices.